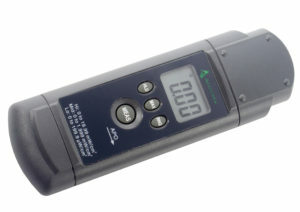 The improved UV-A meter is able to measure the level of the UV-A light given off by a UV-A lamp. Flying insects are drawn towards UV-A light with a specific wavelength peak of 360 nm. The higher the amount of UV-A light generated by a UV-A lamp, the more efficiently it will attract flying insects. 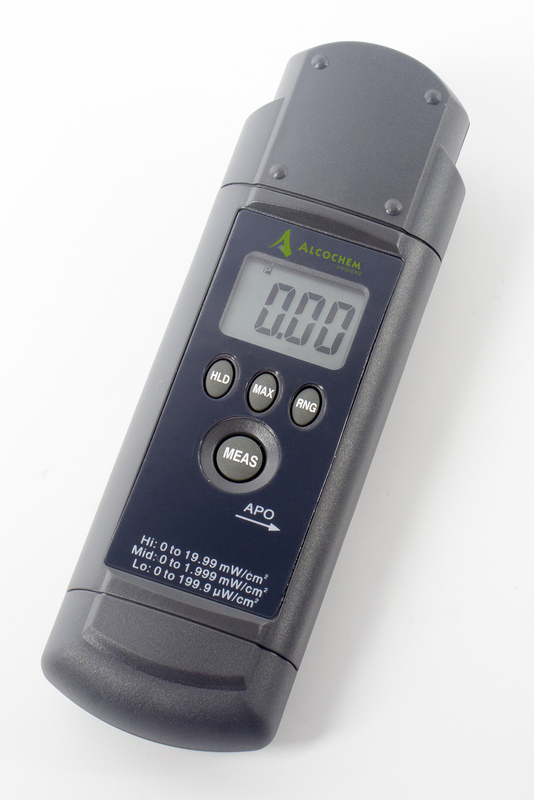 The Alcochem UV-A Meter can be used as both a powerful selling tool, and an important quality assurance tool in HACCP Food Safety Programs. The UV-A meter is an absolute UV-A meter. This means that it can accurately measure the absolute UV-A light intensity from any lamp, or other UV-A source. This is measured in mW/cm2 (milliwatts per square centimetre). Since UV-A light is invisible to the human eye, this is most important, as it is the only means by which you can determine if a lamp is actually working or not. 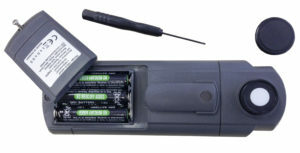 When installing a Alcochem insect trap, the Alcochem UV-A Meter can be used to identify an area on the wall which offers the lowest UV-A background, thus optimizing the placement of the insect trap. Prior to taking a UV-A reading, make sure that the lamp has been working for at least 5 minutes. Depending on the ambient temperature, it can take up to 5 minutes for a UV-A lamp to reach its full UV-A output.